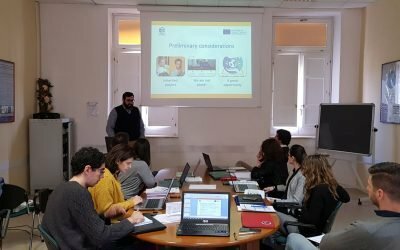 CiProVoT aims to develop a Trans-national training course module for Civil Protection Volunteers (partly peer-education/partly with the use of external expert trainers). To develop knowledge and skills on the Integrated Disaster Management Systems (IDMS) among volunteers of the Civil Protection (CP) organisations. To test new technologies, tools and procedures of the Integrated Disaster Management Systems (IDMS). 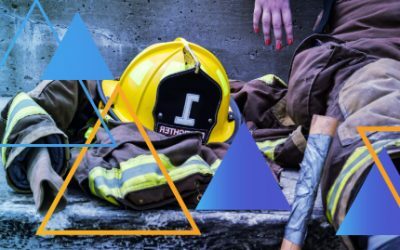 To develop a training module for Civil Protection volunteers through peer-education and training sessions with experts. To ensure and support the dissemination of an innovative tool based on the principles of the Integrated Disaster Management Systems (IDMS). of innovative educational tools for Civil Protection volunteers. of the importance of natural disaster prevention and management of emergency situations in the civil protection. at European level comparing different national approaches related to CP Management and CP volunteers involvement. about the normative related to CP at EU level and providing a deep and specialized knowledge on CP voluntarism. 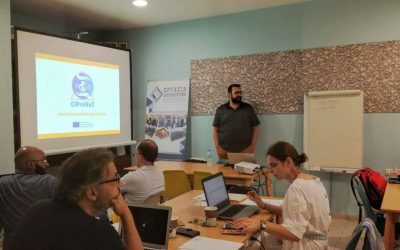 The second partnership meeting and the first International Training of CiProVoT – Civil Protection Volunteers Training project took place from 16th to 20th July in Patras (Greece). In the last years, the seismic events of Central Italy and the resulting emergency situations, bring with them the need for an increasing number of specialists in the management of emergencies, reconstruction of regions affected by earthquake and, above all, prevention of buildings, people and cultural heritage.